A recent report shows that IT professionals in the UK are likely to face bigger and unfair competition from holders of India Tier 2 visa working for UK Employers with a Tier 2 Sponsorship Licence when the UK opts for a free trade deal with India after Brexit happens. YK Sinha – India’s High Commissioner to the UK stated that any trade deal between India and Britain will depend upon the readiness of Britain to relax the visa rules for skilled workers. It is unlikely that the requirements for Tier 2 visa for Indian IT professionals and for other holders will be relaxed in the near future. The present rules require the employers to complete a Resident Labour Market Test to assure that there are no suitable candidates to fill up the vacancy among the people who have the right to work in the country. Besides There are salary requirements meant for Tier 2 visa holders. There are instances where the Indian IT professionals earn better than IT professionals in the UK. Presently, the UK Government is making it difficult for the employers having Tier 2 sponsorship licenses for employing skilled workers on such visas. On 6th April 2017, a charge of £1,000 was sought to be levied on immigration skills annually making it even expensive to hire overseas Workers on Tier 2 visas. India is the sixth largest economy in the world, and its Officials stated that a free trade deal is not likely to happen in case Britain does not permit relaxing the rules regarding the movement of Indian professionals who intend to work in the UK. Sinha clarified that his country was not seeking unencumbered access or open travel, but was in favor of the free movement among Doctors, Professionals, Engineers, and Technicians. With such an exchange both nations will benefit and it needs to be truly a two-way exchange. Majority of Indian skilled workers employed in the UK are IT professionals. Most of them are recruited by large IT firms to undertake lucrative outsourcing partnerships with large Indian IT suppliers, like HCL, TCS, and Infosys. The IT professionals employed to Work in the UK from abroad –more so from India – enter the UK through Tier 2 intra-company transfer visas. This visa permits offshore parent companies which have a UK base, to arrange for overseas workers to reach and work in Britain temporarily basis. IT professionals in the UK maintain that owing to the Tier 2 ICT visa companies are able to reduce staff costs significantly, thus making the competition difficult for jobs. Some Companies are accused of hiring overseas staff in the UK on intra-company transfers, and training them for performing remotely, in a specified role prior to settling them again in India in order to replace the expensive staff of the UK. When the UK government increased the threshold of salary payable to Tier 2 skilled worker visas, for discouraging companies to hire foreigners by making it costly, it was claimed that some companies maneuver the system, hide the expenses in salaries migrants and avoid paying taxes chargeable on this expense in the country. 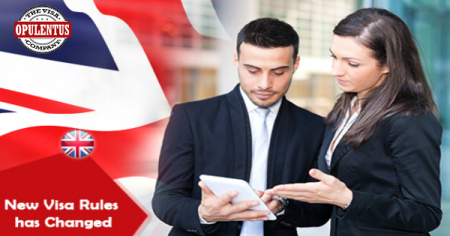 The L1 Visa category has many similarities to the Tier 2 UK ICT visa and is used by Indian technology firms which have operations in the USA. It was being used as a tool to replace American workers and employ Indians.